The changing of the seasons has already meant swapping sandals and sundresses for sweaters and scarves, but there’s one last thing to check off your “ready for winter” to-do list before Hygge time can fully commence. You’ve got to cleanse your home of whatever negative energy might be lingering. Because the key to relaxation is truly doing away with any stress or worries that you might have brought with you through the front door. Here, your guide for exactly what kind to burn in every room of your house. And when in doubt? Spark some “spiritual warrior” frankincense to purify the air and keep energy moving. Good vibes, commence. Keep scrolling for a room-by-room guide. Sure, right off the bat, incense may not be as appealing as a kitchen filled with the smell of, say, freshly baked cookies, but the right notes can really change the atmosphere in the room. 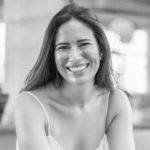 “When we fill our kitchen with food and conversation, the universe delights in our irrepressible dance of resources,” says Amanda Gibby Peters, founder of Simple Shui. To keep these good vibes hanging around, she suggests burning cedar, which has woody notes to help ground people and bring groups together (anyone else feel a dinner party coming on? ), palo santo, which can help purify a space, or bergamot, which can help eliminate any leftover cooking smells. We spend a third of our lives in bed, so in addition to the perfect mattress, pillow, and sheet set, you probably want to nail the right scent in your room as well. “As a guide, let these three words shape-shift your sacred space: sleep, sensuality, and stillness,” says Gibby Peters. To put “self-care back in the air,” she says to grab some calming vetiver, sleep-inducing lavender, or energy-cleansing juniper to burn ahead of a good night’s rest. 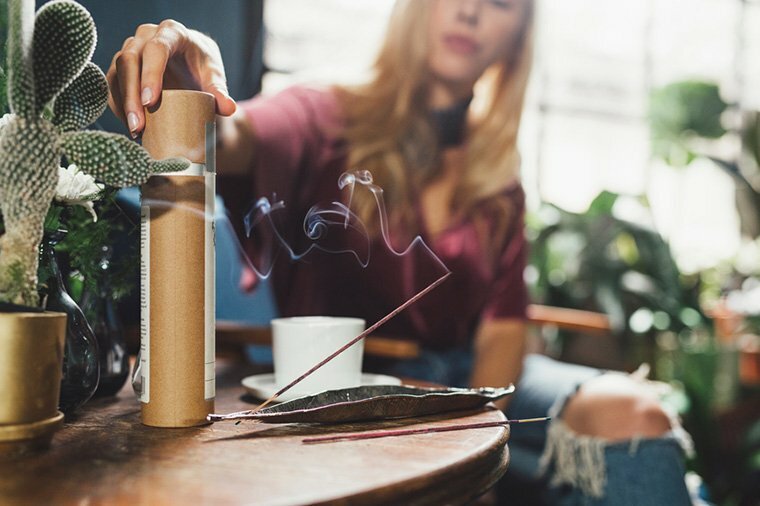 Considering most of your winter nights will be spent lounging in your living room, step up your relaxation game with incense ahead of a binge-watching party. “This space is a gathering spot—and when it’s garnished with love notes, life has a tendency to go well and feel good for all,” she says. “However, if the room is energetically cluttered, those low vibes have a plucky tendency to show up in our conversations and interactions with our loved ones.” To keep the air quality (and conversation quality) clear, she advises lighting up some bad energy-nixing sage or TLC-inducing eucalyptus. Candles may be your usual bath time go-to, but adding incense can actually help up your bathroom’s feng shui game. “Whether you wield your daily intentions as you get ready for the day here, or you settle into the evening with a long soak and silence,” says Gibby Peters. Try pine, eucalyptus, lavender, or yerba santa, which according to her, can help to elevate your DIY sanctuary to spa-like levels. Two other things to check of your winter to-do list? Click *Add to Cart* on some luxe loungewear, and get totally hibernation-ready with one of these cozy, under $100 throws.